Life science validation projects –– particularly those in heavily regulated industries like medical device and pharmaceutical manufacturing –– often require a multi-disciplinary team of professionals sourced from internal functional areas as well as outside resourcing firms capable of filling internal gaps and bringing firsthand experience and specialized expertise to bear. The practice of using multi-disciplinary teams to support Quality System activities including the Qualification and/or Validation of new or modified facilities, systems and processes has become a cGMP expectation of the FDA as well as many other regulatory agencies in ICH markets. Regardless of the specific type of validation work being done, quality outcomes are increasingly reliant on creating these cross-functional teams that are built and managed in a way that recognizes the abilities, incentives, and limitations of each stakeholder and points them toward the same objective. Given that so much relies on the skills and experience of your validation team, we've laid out five general steps to serve as a generic guide for planning your project and determining who should comprise your team based on the specific goals ahead of you. Have a current or upcoming Qualification and/or Validation project? Grab our free guide below (PDF) and learn seven essentials for ensuring your team is equipped to complete the project on time and on budget. 1. Determine the factors of variation and your ability to understand and control for them. Validation projects vary widely depending on the situation that necessitates them. Given this, it's critical to understand the sources and contributing factors of variation, your capability to detect variations, how they could impact process and product, and how to control for them depending on the risk they pose. Specific to building a validation team, knowing how to control for variation can guide to you specific people that can put those actions into practice. • Thoroughly list and describe the possible sources of variation associated with the specific validation project. • For each of these sources, ask if you're fully capable of detecting variations, and describe what impact they have on process and product. • Determine if, and describe how, you will need to control for these sources of variation. • Note which functional areas, and individuals within them, may be necessary or useful for enacting the controls identified. 2. Determine the responsibilities of the validation team and the level of cross-functional integration needed. If you’re assembling a team for a specific validation project, its members should come from all departments impacted by it. An integrated, cross-functional approach helps ensure everything that should be accounted for is accounted for while bringing multiple disciplines to bear when planning and executing the project itself. In general, the responsibilities of a typical validation team can be broken down into a few essential duties: define protocols, assess risk, and execute, document, review, and approve validation activities. In addition to conducting the validation work itself, the team must also report on the project, as well as document its preparation and control, approve validation protocols, track the system, and possibly train others. • Define, in detail, what the team and each of its members are responsible for. Note any and all gaps or areas where an external specialist is needed or could assist/augment internal resources. • Once your internal team members are identified, arrange for back-up personnel to step in if a member becomes unavailable for whatever reason. 3. Determine where external specialists are needed and which skills, experience, and expertise are necessary. Once you’ve noted internal gaps or areas where staff can be supported or augmented, get specific about how many external resources will be needed, and which kind of specialist(s) will fulfill those needs. Which unit operations will need to be supported, and what skills, capabilities, or experience are needed? What specific requirements exist for the product or project and what kind of capabilities will outside specialists need? Will documentation skills be important? Which specifications will external staff need to work with to perform assessments? Are there specific systems they should be familiar with? Once you know who you need to augment internal staff, work with a firm who can devote the time and resources to finding the right individuals based on your specific needs. Getting the right people the first time is incredibly important not only for completing a project thoroughly but doing so on time and on budget. Realizing someone is a poor fit two months into a project can lead to expensive delays and a cascade of other problems. 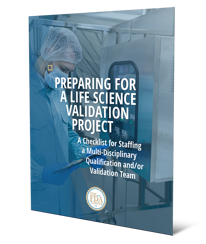 For most validation work, it’s important to partner with a staffing firm that is dedicated to life science work, rather than one that stretches itself thin across many different spaces. Talk to us today to staff your team with perfect-match validation specialists backed by a 100% Quality Guarantee. • Evaluate your need for external assistance and determine which specialists are needed. • Work with a dedicated life science staff resourcing firm to connect with the right people for your project. 4. Create a plan to keep the validation project on track. One of the biggest challenges of a validation project is keeping the team fully committed to the schedule when other responsibilities compete for their attention. Keep the project moving by making communication frequent and planned throughout each phase. Also, make sure data is flowing as it should be between process activities, so progress isn’t stalled. Determine what mechanism the team will use for managing the flow of data from one activity to another and make sure it’s well-established from the start. Data provided by an activity must be available to others who need it in the workflow. • Set project milestones and use them to perform quick assessments of project status. • Include a risk analysis with each review performed. • Clearly lay out a plan for communicating on project progress on a routine basis. • Conduct process audits during the critical milestones. 5. Create a compelling project charter to gain support from senior leadership. Support from senior leaders is often critical for gaining the resources needed to see a project through to success. 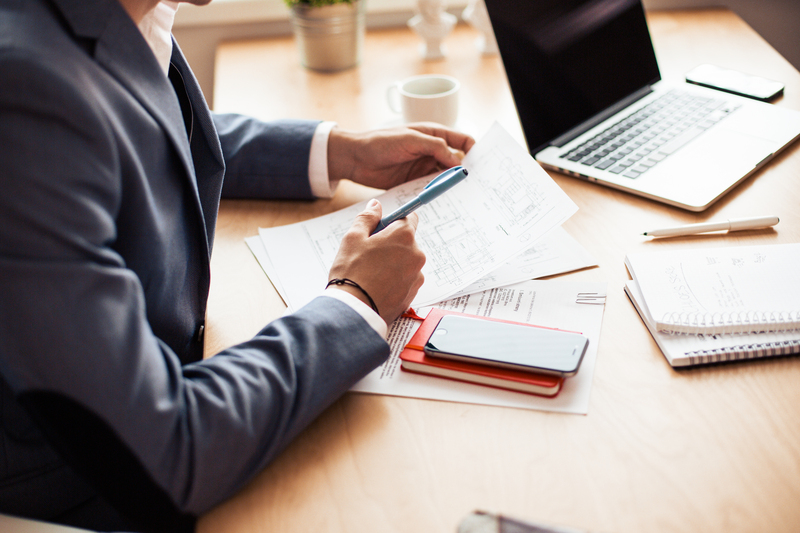 While the path to “buy in” may look different within different organizations, creating a project charter is a common best practice that is useful for outlining the key stakeholders, activities, goals, and resources of a project. • Establish a project charter documenting the important components of your validation project. These include the reasons for validation, objectives/constraints, in-scope/out-of-scope items, stakeholders, risk management plan, communication plan, and budget authority. Carrying out effective validation across all stages of a product lifecycle –– from research and development, through to manufacture and distribution, or throughout a period of change –– continues to be among the top challenges for life science companies. While some validation activities can be resourced with internal staff, many require augmenting your team with outside talent who can bring years of experience and specialized expertise to boost efficiency and ensure a positive outcome. By building a validation team that can apply personal experience with the same or similar types of projects, department and company leaders can better ensure thoroughness and accuracy while also completing them on time and on budget. Talk to us today to staff your validation team with perfect-match specialists backed by our 100% Quality Guarantee or grab our free guide and checklist below. 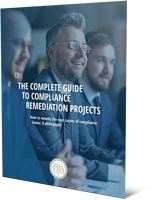 Get the guide to ensuring your team can complete Validation projects on time and on budget.